Freeform radio with music and news of indie/touring songwriters and bands. 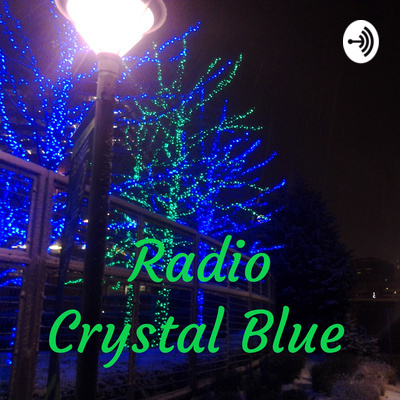 Radio Crystal Blue, in its 19th year online, is a weekly podcast that features top songwriters and bands, indie, underground, and touring, in a freeform format. HOW TO LISTEN: Podomatic: http://radiocblue.podomatic.com RSS feed: http://radiocblue.podomatic.com/rss2.xml Mixcloud: http://www.mixcloud.com/radiocblue Stitcher: http://www.stitcher.com/podcast/radio-crystal-blue Anchor: https://anchor.fm/radiocblue Anchor RSS: https://anchor.fm/s/d45a80/podcast/rss Apple (iTunes): https://itunes.apple.com/us/podcast/radio-crystal-blue/id1358998494 Overcast: https://overcast.fm/itunes1358998494/radio-crystal-blue Pocket Casts: http://pca.st/J7ff Castbox: https://castbox.fm/channel/id1204385 Breaker: https://www.breaker.audio/radio-crystal-blue Spotify: https://open.spotify.com/show/6Wlzu3cFXU5LAYAvGx4u4T RadioPublic: https://play.radiopublic.com/radio-crystal-blue–GEzylN Google Podcasts: bit.ly/2KS802i Internet Archive: https://archive.org/details/RCBlive032019.mp3 mp3: https://radiocrystalblue.files.wordpress.com/2019/03/rcblive032019.mp3 NEW: Player.fm https://player.fm/series/radio-crystal-blue Ask Siri to: “Play Radio Crystal Blue” This show, #832, was published, on 03/20/2019. HOW TO LISTEN: Podomatic: http://radiocblue.podomatic.com RSS feed: http://radiocblue.podomatic.com/rss2.xml Mixcloud: http://www.mixcloud.com/radiocblue Stitcher: http://www.stitcher.com/podcast/radio-crystal-blue Anchor: https://anchor.fm/radiocblue Anchor RSS: https://anchor.fm/s/d45a80/podcast/rss Apple (iTunes): https://itunes.apple.com/us/podcast/radio-crystal-blue/id1358998494 Overcast: https://overcast.fm/itunes1358998494/radio-crystal-blue Pocket Casts: http://pca.st/J7ff Castbox: https://castbox.fm/channel/id1204385 Breaker: https://www.breaker.audio/radio-crystal-blue Spotify: https://open.spotify.com/show/6Wlzu3cFXU5LAYAvGx4u4T RadioPublic: https://play.radiopublic.com/radio-crystal-blue–GEzylN Google Podcasts: bit.ly/2KS802i Internet Archive: https://archive.org/details/RCBnew031019 mp3: https://radiocrystalblue.files.wordpress.com/2019/03/rcbnew031019.mp3 Ask Siri to: “Play Radio Crystal Blue” This show, #456, was published: 03/10/2019. HOW TO LISTEN: Podomatic: http://radiocblue.podomatic.com RSS feed: http://radiocblue.podomatic.com/rss2.xml Mixcloud: http://www.mixcloud.com/radiocblue Stitcher: http://www.stitcher.com/podcast/radio-crystal-blue Anchor: https://anchor.fm/radiocblue Anchor RSS: https://anchor.fm/s/d45a80/podcast/rss Apple (iTunes): https://itunes.apple.com/us/podcast/radio-crystal-blue/id1358998494 Overcast: https://overcast.fm/itunes1358998494/radio-crystal-blue Pocket Casts: http://pca.st/J7ff Castbox: https://castbox.fm/channel/id1204385 Breaker: https://www.breaker.audio/radio-crystal-blue Spotify: https://open.spotify.com/show/6Wlzu3cFXU5LAYAvGx4u4T RadioPublic: https://play.radiopublic.com/radio-crystal-blue–GEzylN Google Podcasts: bit.ly/2KS802i Internet Archive: https://archive.org/details/RCBnew022019 mp3: https://radiocrystalblue.files.wordpress.com/2019/02/rcbnew022019.mp3 Ask Siri to: “Play Radio Crystal Blue” This show, #455, was published: 02/20/2019. Radio Crystal Blue, in its 19th year online, is a weekly podcast that features top songwriters and bands, indie, underground, and touring, in a freeform format. HOW TO LISTEN: Podomatic: http://radiocblue.podomatic.com RSS feed: http://radiocblue.podomatic.com/rss2.xml Mixcloud: http://www.mixcloud.com/radiocblue Stitcher: http://www.stitcher.com/podcast/radio-crystal-blue Anchor: https://anchor.fm/radiocblue Anchor RSS: https://anchor.fm/s/d45a80/podcast/rss Apple (iTunes): https://itunes.apple.com/us/podcast/radio-crystal-blue/id1358998494 Overcast: https://overcast.fm/itunes1358998494/radio-crystal-blue Pocket Casts: http://pca.st/J7ff Castbox: https://castbox.fm/channel/id1204385 Breaker: https://www.breaker.audio/radio-crystal-blue Spotify: https://open.spotify.com/show/6Wlzu3cFXU5LAYAvGx4u4T RadioPublic: https://play.radiopublic.com/radio-crystal-blue–GEzylN Google Podcasts: bit.ly/2KS802i Internet Archive: https://archive.org/details/RCBlive011019 mp3: https://radiocrystalblue.files.wordpress.com/2019/01/rcblive011019.mp3 Ask Siri to: “Play Radio Crystal Blue” This show, #827, was published: 01/15/2019. HOW TO LISTEN: Podomatic: http://radiocblue.podomatic.com RSS feed: http://radiocblue.podomatic.com/rss2.xml Mixcloud: http://www.mixcloud.com/radiocblue Stitcher: http://www.stitcher.com/podcast/radio-crystal-blue Anchor: https://anchor.fm/radiocblue Anchor RSS: https://anchor.fm/s/d45a80/podcast/rss Apple (iTunes): https://itunes.apple.com/us/podcast/radio-crystal-blue/id1358998494 Overcast: https://overcast.fm/itunes1358998494/radio-crystal-blue Pocket Casts: http://pca.st/J7ff Castbox: https://castbox.fm/channel/id1204385 Breaker: https://www.breaker.audio/radio-crystal-blue Spotify: https://open.spotify.com/show/6Wlzu3cFXU5LAYAvGx4u4T RadioPublic: https://play.radiopublic.com/radio-crystal-blue–GEzylN Google Podcasts: bit.ly/2KS802i Internet Archive: https://archive.org/details/RCBnew011019 mp3: https://radiocrystalblue.files.wordpress.com/2019/01/rcbnew011019.mp3 Ask Siri to: “Play Radio Crystal Blue” This show, #452, was published: 01/08/2019. 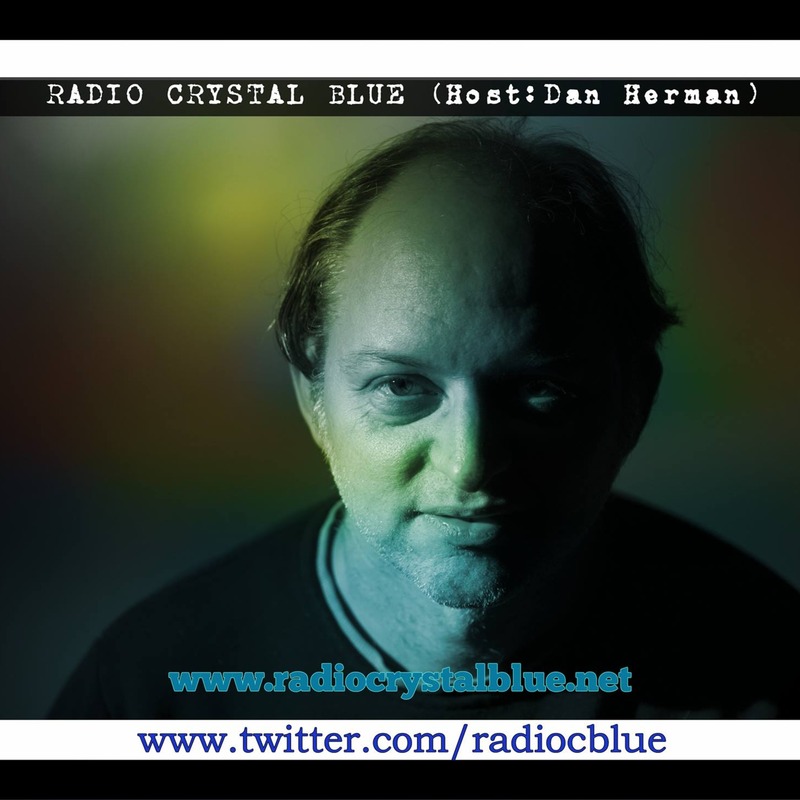 Radio Crystal Blue, in its 19th year online, is a weekly podcast that features top songwriters and bands, indie, underground, and touring, in a freeform format. HOW TO LISTEN: Podomatic: http://radiocblue.podomatic.com RSS feed: http://radiocblue.podomatic.com/rss2.xml Mixcloud: http://www.mixcloud.com/radiocblue Stitcher: http://www.stitcher.com/podcast/radio-crystal-blue Anchor: https://anchor.fm/radiocblue Anchor RSS: https://anchor.fm/s/d45a80/podcast/rss Apple (iTunes): https://itunes.apple.com/us/podcast/radio-crystal-blue/id1358998494 Overcast: https://overcast.fm/itunes1358998494/radio-crystal-blue Pocket Casts: http://pca.st/J7ff Castbox: https://castbox.fm/channel/id1204385 Breaker: https://www.breaker.audio/radio-crystal-blue Spotify: https://open.spotify.com/show/6Wlzu3cFXU5LAYAvGx4u4T RadioPublic: https://play.radiopublic.com/radio-crystal-blue–GEzylN Google Podcasts: bit.ly/2KS802i Internet Archive: https://archive.org/details/RCBlive103018 mp3: https://radiocrystalblue.files.wordpress.com/2018/10/rcblive103018.mp3 Ask Siri to: “Play Radio Crystal Blue” This show, #822, was published: 10/30/2018. www.radiocrystalblue.net See the How To Listen section in the playlist notes for directions. Podomatic: http://radiocblue.podomatic.com RSS feed: http://radiocblue.podomatic.com/rss2.xml Mixcloud: www.mixcloud.com/radiocblue Stitcher: http://www.stitcher.com/podcast/radio-crystal-blue Anchor: https://anchor.fm/radiocblue Anchor RSS: https://anchor.fm/s/d45a80/podcast/rss Apple (iTunes): https://itunes.apple.com/us/podcast/radio-crystal-blue/id1358998494 Overcast: https://overcast.fm/itunes1358998494/radio-crystal-blue Pocket Casts: http://pca.st/J7ff Castbox: https://castbox.fm/channel/id1204385 Breaker: https://www.breaker.audio/radio-crystal-blue Spotify: https://open.spotify.com/show/6Wlzu3cFXU5LAYAvGx4u4T RadioPublic: https://play.radiopublic.com/radio-crystal-blue--GEzylN Google Podcasts: bit.ly/2KS802i Internet Archive: https:/archive.org/details/RCBlive083018 https://radiocrystalblue.files.wordpress.com/2018/08/rcblive083018.mp3 Ask Siri to: "Play Radio Crystal Blue"
Podomatic: http://radiocblue.podomatic.com RSS feed: http://radiocblue.podomatic.com/rss2.xml Mixcloud: www.mixcloud.com/radiocblue Stitcher: http://www.stitcher.com/podcast/radio-crystal-blue Anchor: https://anchor.fm/radiocblue Anchor RSS: https://anchor.fm/s/d45a80/podcast/rss Apple (iTunes): https://itunes.apple.com/us/podcast/radio-crystal-blue/id1358998494 Overcast: https://overcast.fm/itunes1358998494/radio-crystal-blue Pocket Casts: http://pca.st/J7ff Castbox: https://castbox.fm/channel/id1204385 Breaker: https://www.breaker.audio/radio-crystal-blue Spotify: https://open.spotify.com/show/6Wlzu3cFXU5LAYAvGx4u4T RadioPublic: https://play.radiopublic.com/radio-crystal-blue--GEzylN Google Podcasts: bit.ly/2KS802i Internet Archive: https:/archive.org/details/RCBnew083018 https://radiocrystalblue.files.wordpress.com/2018/08/rcbnew083018.mp3 Ask Siri to: "Play Radio Crystal Blue"
HOW TO LISTEN: Podomatic: http://radiocblue.podomatic.com RSS feed: http://radiocblue.podomatic.com/rss2.xml Internet Archive: https://archive.org/details/RCBnew041018 mp3: https://radiocrystalblue.files.wordpress.com/2018/04/rcbnew041018.mp3 This show was published: 04/10/2018 The Nouveaux Honkies "Playing Cards With Myself" - Loud In Here CD www.tnhband.com @TNHBand Tim Woods "Take A Minute" - Human Race CD www.timwoodsmusic.com Teresa James & The Rhythm Tramps "Hold On" - Here In Babylon CD www.teresajames.com Peter V Blues Train "Buzzed, Busted & Blue" - Running Out Of Time CD www.petervbluestrain.com Ned Hill "Detroit City (You're One Tough Town)" - Six Feet Above Ground CD www.nedhillmusic.com @NedVanGo Gerry Spehar "Barrier Reef" - Anger Management CD www.gerryspehar.com Johnsmith "Old Flag Floor" - Ginkgo CD www.johnsmithmusic.com Julia Kasdorf "Long Chain" - Motel CD www.juliakasdorfmusic.com @JKasdorfMusic ***** Closing music: DJ Flowerdove "Wind Chill"